A blend of orange, olibanum, pine, australian sandalwood and myrrh pure essential oils to promote introspection and spirituality. 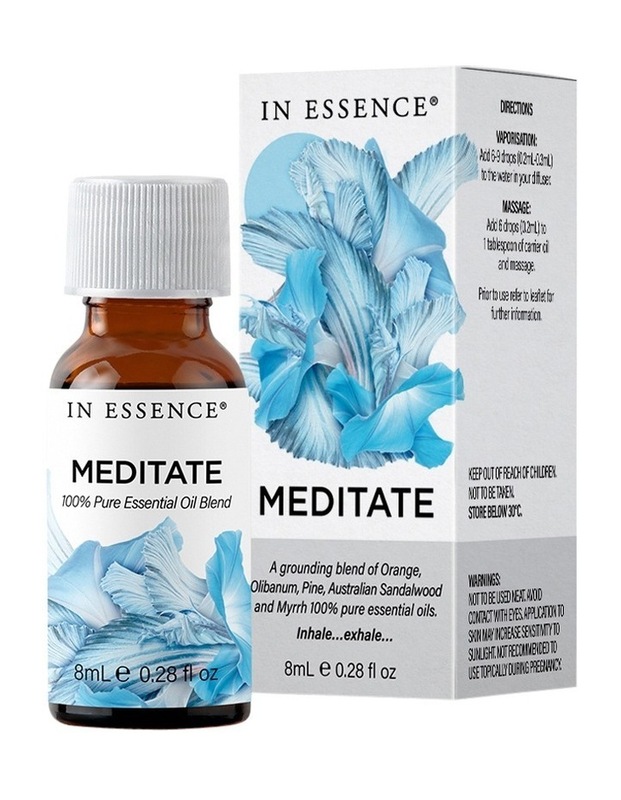 Blended to promote introspection and spirituality. Discover inner wisdom and peace with this grounding blend of orange, olibanum, pine, australian sandalwood, and myrrh pure essential oils. Fall into your inner conscious, release yourself from the shackles of life. Inhale. Exhale. Not tested on animals. Vaporisation: add 6-9 drops (0.2ml-0.3ml) to the water in your diffuser. Massage: add 6 drops to (0.2ml) 1 table spoon of carrier oil.